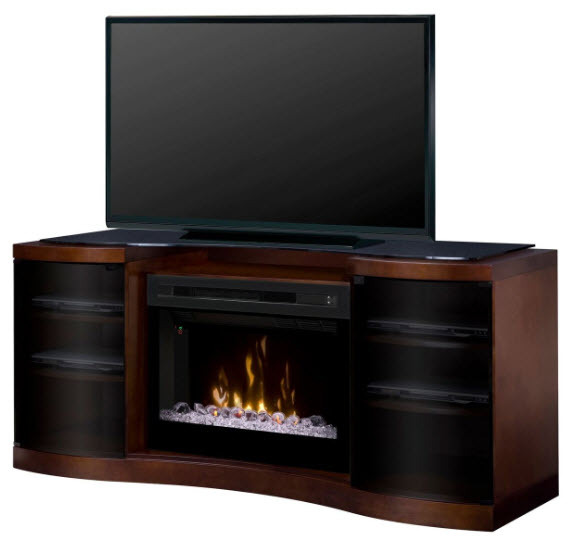 Dimplex introduces the Acton media console. 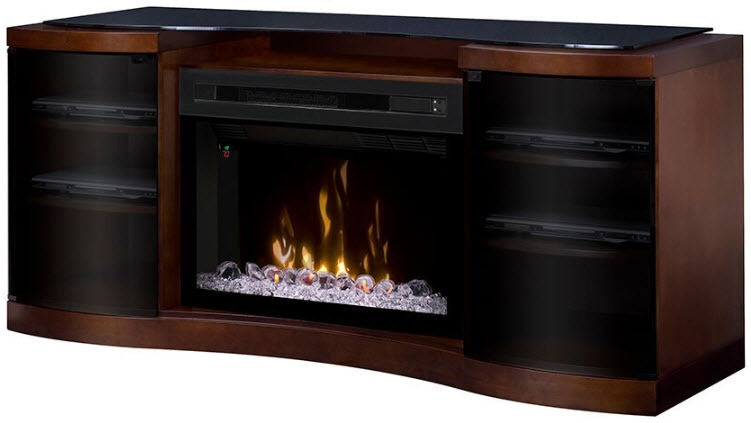 The quality crafted walnut on white birch finish, adjustable shelves, tempered glass top, large storage capacity and elegant curved body of this piece surround a beautiful fireplace and patented flame technology you will only find with Dimplex. TV Size: Up to 60". 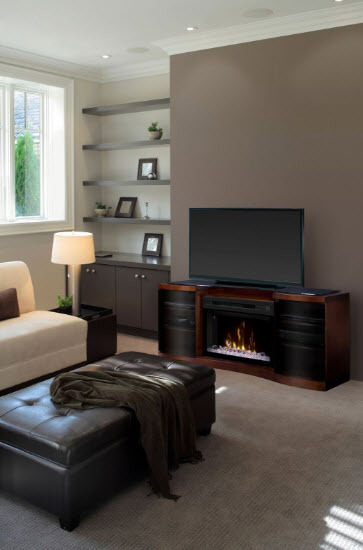 TV not included.